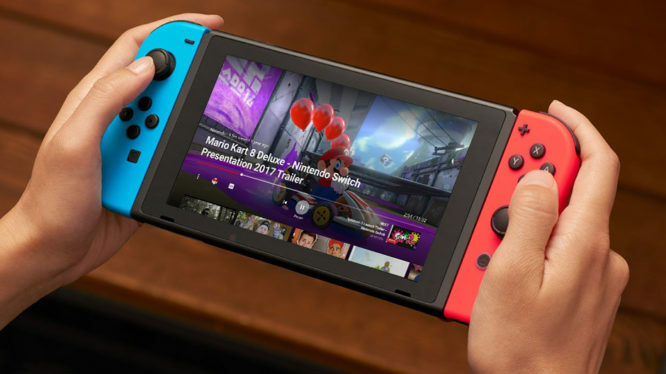 The world’s most popular video streaming service now has a dedicated app for Nintendo Switch. It can be downloaded from the console’s eShop in all territories right now, free of charge. The YouTube app allows Switch owners access to the service’s entire vast catalogue, at home or on the go. You can link up to your Google account to keep up to date with all your Subscriptions and see your previously viewed videos across all platforms. Videos can be viewed in 1080p (where available) on your TV at home when the console is docked. When on the go, the Switch can make full use of any 360-degree videos you come across, as you’d expect from any mobile device. Rumours of a YouTube app for the Switch have been rife ever since the console’s launch, with many seeing the Switch’s hybrid design as being perfect for services such as YouTube and Netflix, giving viewers the choice over whether to watch at home or on the go. The console launched with no dedicated video streaming apps in 2016, but has since seen the release of a NicoNico app in Japan and a Hulu app in the US. The YouTube app is the first video streaming app available in all territories. Nintendo America CEO Reggie Fils-Aime was quoted in early 2017 as saying that the company was talking to Netflix and Amazon about bringing apps for their streaming services to their latest console, so it could be possible that they’ll be joining YouTube on the Switch soon.